A landing page builder will help you create the pages you need to target your marketing campaigns, collect customer information, and help direct sales of new products. The best ones are easy to use with drag-and-drop functionality, smart integrations, include features such as A/B testing and pop-up options, and are affordable. We chose the top landing page builders based on what a user needs, such as ease of use, well-designed templates, and affordability. Most of the best landing page builders offer drag-and-drop functionality, integration with Google Analytics, and the ability to do split testing (A/B), which allows you to see which landing pages you publish perform best with potential customers. Typically, landing page builder software offers two to four different pricing plans. A low-tier plan gives you basics, such as templates made for conversions and WordPress integration, while the mid-tier level might include A/B testing. High-tier plans should give you access to all the features, such as advanced reporting, VIP support, and integrations with software you already use, such as customer relationship management software (CRM), project management software, and accounting apps. The chart below shows an average cost of some of the best landing page builder software. Pricing is shown as monthly costs, but is usually billed annually. If a month-to-month option is available, it’s often a bit more expensive. Landing pages are one of the best ways to direct traffic from emails, social media, online ads, and organic traffic to the sales funnels that makes most sense. The best way to ensure you choose the right landing page builder software to help you achieve your goals and get the most conversions with every campaign is to focus on your skills, needs, and budget. Take our short quiz or read below to find the right one for you. 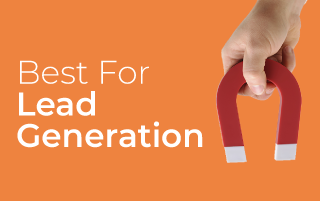 How many sales or lead generation campaigns do you need to run at once? What’s your monthly budget for landing pages? How comfortable are you with technology on a scale of 1-10? What is your goal with landing page software? Do you need a landing page builder that won’t limit the number of published pages you can have? Creating landing pages without a builder software requires you know various coding languages, have design skills, and a lot of time. If that doesn’t sound like you, then a landing page builder is ideal. There’s a landing page builder for every skill level. Do you have a bit of tech-savviness and want to edit your pages with the HTML and CSS you know? You can make good use of the more complex landing page builders, such as ClickFunnels. 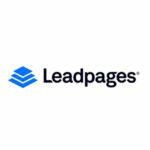 Alternatively, if you just want to click and drag elements to build a page, there are landing page builder software out there for you, too, such as Instapage. To get a good idea of how intuitive a landing page builder’s interface is, give it a test run. Most of the top software offer limited trials that won’t require you to enter any payment information until you’re ready to buy. 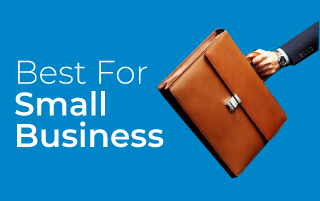 As a small business owner, you need to make sure you can afford to keep the lights on and the marketing going. Landing page builders can be affordable or pricey, depending on the software and plan you choose. A landing page builder that offers strictly lead generation will be more affordable. A full-featured landing page builder with sales funnel functionality is going to have a higher price tag. You can get a better idea of how much landing page builders cost per month in our pricing guide above, but keep in mind many of them charge you annually. Determine precisely what you’ll need before you choose landing page builder software, as some of them include extra features you may not need. Others may limit you in what you can do, or even how many pages you can create. This checklist can help you weed out the landing page builders that aren’t right for you, and direct you to the one you do want. To offer a better price, some landing page builders limit the number of pages you can create. Some low-tier plans may limit the number of leads you can generate, while some offer unlimited options. Near the top of the needs list for any business is how well the other software they use integrates with landing page builders. You want to ensure you can continue the sales funnel processes and data analysis with the other apps you already use. The best landing page builder software offers plenty of options, but some are better for beginners. Those with little to no coding knowledge likely won’t care about backend customization, but you should be able to edit images, text, and shift things around easily in the landing page builder editor. You want your campaigns to look as though they’re coming from your business, not your landing page builder software, and that’s why white labeling is important. That’s just a shortlist of the features that may meet or exceed your needs. We will go more in depth on the more advanced features below. The basics you should expect from any landing page builder software include a custom domain name, hosting service, and pre-made templates that make it easy for you to get started. It’s the extra features and analytics that make it worth it for you to choose a higher level tier of plan, of which you can read about below. One important aspect of any marketing strategy is studying the data you collect, and most landing page builder software comes with ways for you to analyze visits to your various landing pages. This includes data on how long a visitor spends on each page, whether they scroll to the bottom of the page, when they bounce, and whether they completed the call to action. Many landing page builders come with their own metric-measuring tools, while others integrate with Google Analytics. Regardless of which method you use, the result should be a better understanding of what your customers want, how to best reach them, form length that works best, and so forth. A big part of determining these data points is A/B testing, which you can read about below. The best way to tell whether a landing page is working for prospective customers and clients is to run an A/B test, which pits two or more different pages against one another. You can send half of your visitors to one page, and the other half to another, or any other percentage you want, and then study the bounce rate, origin of visitors, time spent on page, conversion rate, etc. Most landing page builders offer this feature at most tiers of pricing, but there are a handful that save it for mid- to high-tier subscribers. In the more full-featured landing page builders, you’ll find ways to entice customers to engage more with your landing pages. 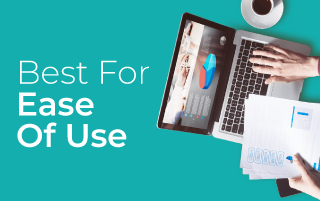 These interactive tools are typically included in higher tiers, but they could be worth the extra money for your business. When a visitor comes to your page, a popup chat bot can encourage them to explore more of your brand or product with questions and fun answers. As the visitor continues answering questions, you’re collecting valuable data that you can use, to tailor-fit new landing pages for similar customer bases. A common feature among landing page builders is the popup. They can be triggered by actions made by visitors to a landing page, so if they’re about to exit the page, a popup will come up to offer them something that may encourage them to stay, learn more, or offer up their contact information. A sticky bar is another feature popular in landing page builder software that lives as a constant on your landing page. Inform visitors about your product or service, but keep a static form on the side or below where they can fill out their info when they’re ready to sign up, learn more, or subscribe. Popups and stickies are usually offered in limited amounts, but some landing page builders will allow you an unlimited amount of these for your landing pages. In the digital marketing realm, tracking pixels are the tiniest, but hardest workers that are doing what they can to help convert a prospect for you. Many landing page builders include this feature that you can place on a landing page or popup that can let you know through data collected how a person interacted, or didn’t, with your page. You can then cue up a new landing page for those that didn’t bite with the first landing page bait and offer something tastier, or more personalized, thereby increasing your conversion rate with the initial crowd of duds. Any landing page builder software worth its weight in venture capital is going to offer integrations with Google Ads and Analytics, WordPress, and social media. You should also see various CRM integrations, email and email marketing apps, customer support or live chat apps, and marketing automation, to name a few of the expected ones. The point of personalization and white labeling is important because once you connect with prospects or customers, you want to make sure that they have your brand in mind, but it goes the other way, too. It’s about letting your customers know that you know what they want. You should be able to use your landing page builder to gather vital information about your prospects, and then place them in the various funnels or buckets for more direct marketing appeals. Every landing page builder offers different added features to try to lure you to choose them, and some are worth your time and money, depending on your small business’ needs. Here are a couple of the most popular. Increase the worth of those pay-per-click ads you’re buying with this feature, which swaps out words on your landing pages with those keywords a reader has used for a search. For example, if you have a shoe store that you’re promoting, and you want your ad to be personalized for users who search for variations on “shoes,” you might include keywords such as “boots,” “wedges,” “heels,” “flats,” “sneakers,” etc. So, when a prospect hits on your landing page, they’ll see the word they searched for, making it a more personalized experience and increasing your conversion rate. 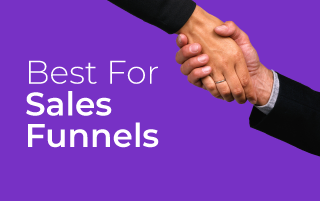 If you’re looking to do more than collect customer information and you want to actually sell a product or service, then you want to create a sales funnel that leads a prospect to the point of a sale. Some landing page builder software include built-in checkouts, so you can get that sale. Others should at least include an integration, such as with Shopify. Landing page builders are constantly looking for new ways to increase conversion rates, and video is one of the big ones. Video in landing pages can increase the click-through rate by up to 27 percent, according to market research, plus higher web conversion rates by 35 percent. This feature can often be found in basic plans. It isn’t that there’s a ton of pressure to pick the best landing page builder from the beginning. After all, most of them on the market give you a free trial, so you can test the interface to make sure it’s something you’re comfortable using. However, it is important to ask yourself these questions to see if landing page builder software is right for you, or whether you’re ready to take the plunge. 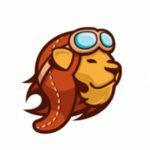 Be honest here because you don’t want to pick a landing page builder that’s too complex for you. You also don’t want to be stuck paying the annual fee up front for one that won’t allow you to edit code in the back-end to create your own designs. What is my goal with landing pages? If your goal is lead generation through a form or survey, or you want to guide a lead through a sales process to the point of purchase, then you’re on the right track with a landing page builder. Especially so if you want to perform split testing to design the perfect pages for conversion to build a contact list of leads. However, if you simply want to offer your readers content, and you’re not asking for anything in return, such as an email address or other contact info, money for a product, or sign-ups for a convention or webinar, then a landing page builder might not be right for you, but a website builder could be what you need. How important is it to translate the design in my mind to a landing page? Landing page builder creators have put more than just a pretty template together for you to use. They’re tried-and-true designs that have upped conversion rates for others. However, if you just can’t get specific designs out of your head, you might need more than a landing page builder, and more of a service that will create precisely what you want. Or you’re going to have to start taking some coding lessons. Am I ready to launch? This might be the most important question, though it’s somewhat related to the second question on this list. You have to be ready with something to offer, and follow-ups for your newly converted customers. Now that you’ve seen what the best landing page builder software has to offer, it’s time to see them for yourself. Read through these landing page builder reviews to get a better idea of how others feel about using each one, which will better prepare you for picking the right software for you and your small business.